Flip a coin 6 times. For each heads, your opponent takes 10 damage. Flip a coin 3 times. Deal 30 damage for each heads and 10 damage for each tails. 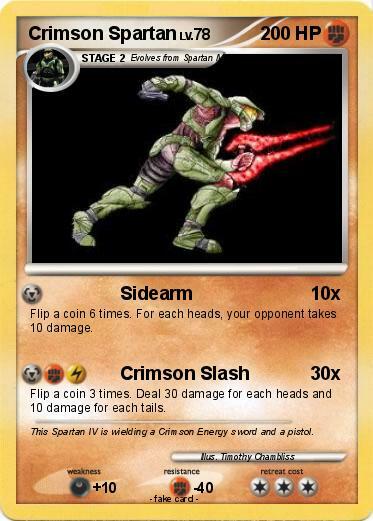 Comments : This Spartan IV is wielding a Crimson Energy sword and a pistol.